The project: Create a 2013 audio diary with a dozen five-second segments. This project was published in the evening, California time, on Thursday, December 26, with 11:59pm on the following Monday, December 30, 2013, as the deadline. 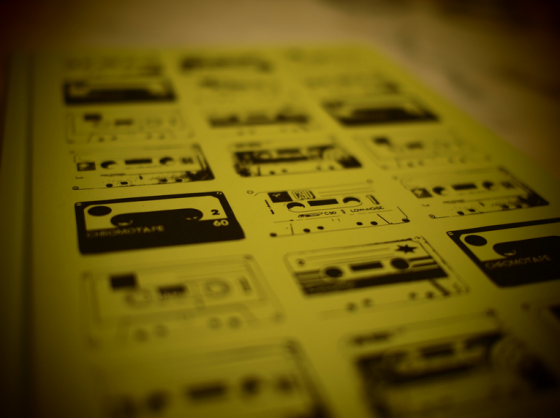 This week’s project is a sound journal, an audio history of the past year. You will select a different audio element to represent each of the past 12 months of 2013. You will then select one 5-second segment from each of these audio elements. Then you will stitch these dozen 5-second segments together in chronological order to form 1 single 1-minute track. There should be no overlap or gap between segments; they should simply proceed from one to the next. These audio elements will most likely be of music that you have yourself composed and recorded, but they might also consist of phone messages, field recordings, or other source material. These items should be somehow personal in nature, suitable to the autobiographical intention of the project; they should preferably of your own making, and not drawn from third-party sources. Deadline: Monday, December 30, at 11:59pm wherever you are. Title/Tag: When adding your track to the Disquiet Junto group on Soundcloud.com, please include the term “disquiet0104-audiojournal2013”in the title of your track, and as a tag for your track.